As many 30 percent of American workers do not get enough sleep at night. 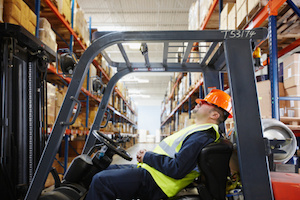 According to the Centers for Disease Control and Prevention, that amounts to more than 40 million American workers who report to work in a fatigued and sleepy state.There are serious workplace safety concerns when workers are sleep-deprived, and employers need to be aware that tired workers raise the risk of workplace accidents. According to a new study by Harvard Medical School, as many as one-third of American workers are not sleeping enough to perform at peak levels.Employers may be able to improve workplace safety and productivity by investing in sleepeducation programs for employees. The research notes that chronic workplace fatigue is costing employers billions of dollars in lost productivity every year. At least 43 percent of Americans admit that they rarely or never get a good night’s sleep on weeknights. As many as 60 percent say they suffer a sleep-related problem every night or almost every night. The Atlanta workers’ compensation lawyers at Parsons Law Group are concerned that almost three-fourths of workers over age 30 report that they do not get enough sleep and also that sleepiness affects their work. The risk of accidents from sleepiness is especially high in the manufacturing industry, where people work on shifts and may bein close proximity to dangerous and complicated machinery.